Please see our virtual tour by clicking on the video reel icon, more photos coming! 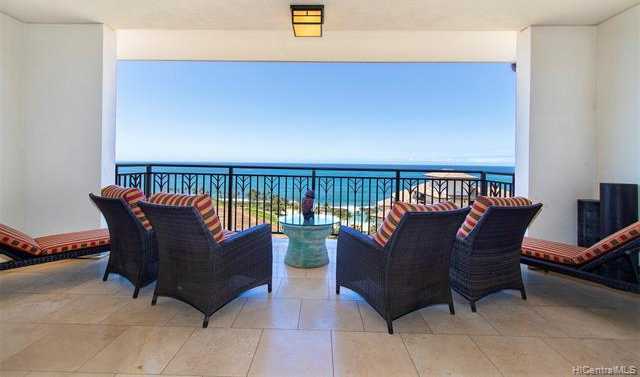 Rare opportunity for a top floor Penthouse at one of Oahu’s prestigious luxury ocean front properties-The Beach Villas @ Ko Olina. Villa is 2 Bed/2 Bath with 2 parking spots and offers stunning ocean, mountain and sunset views, PLUS Diamond head and golf course. Very private with only 2 villas per floor and boasts a gourmet kitchen, & luxury interior finishes. Rarely used ,never rented, all furnishings negotiable. Perfect second home, or investment property with all the expected amenities! Please, send me more information on this property: MLS# 201907510 – $1,528,000 – 92-104 Waialii Place Unit O-1604, Kapolei, HI 96707. I would like to schedule a showing appointment for this property: MLS# 201907510 – $1,528,000 – 92-104 Waialii Place Unit O-1604, Kapolei, HI 96707.